Can overpower, recommend 5-10% range for wearable fragrances. 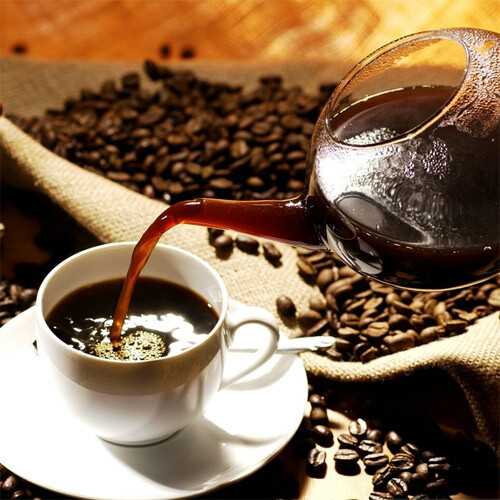 Coffee Essential Oil smells just like a fresh brewed pot of coffee. It is both warming and invigorating. Coffea Arabica is the earliest cultivated species of the coffee tree and still the most widely grown. The trees produce approximately 70% of the world's coffee, and are dramatically superior in cup quality to the other principal commercial coffee species, Coffea canephora or Robusta. All fine, specialty, and fancy coffees come from Coffea arabica trees. Coffee has a multitude of potential uses. It was used medicinally in the past as a powerful stimulant, and to combat depression, respiratory issues, stings, fevers, and general nausea. It can be burned like incense as a room deodorizer, and is known to be loaded with flavonoids and antioxidants. The history surrounding coffee is vast. It is documented as being used in Persian medicine in the 10th century, but drunk by Sufi monks in the 15th century, to drive away fatigue and lethargy, and from there it spread throughout the known world. All the coffee now grown in the Americas originated from one tree in a Dutch botanical garden. Among other possibilities, it is thought that the name Coffee comes from Caffa, an Abyssinian province. Coffee Essential Oil should be avoided during pregnancy. It may also cause heart palpitations in some individuals.